Let’s say I can give you a glass of cold iced tea at this very instant. Would you rather have an iced tea mix or a fresh brew? It’s a split-second decision, right? You would go for the real thing, every time. Maybe you are asking yourself right now, “then why did I buy this iced tea mix?”. I don’t know why you bought that either. Maybe you weren’t informed that you could make a real iced tea conveniently! Let’s face it. 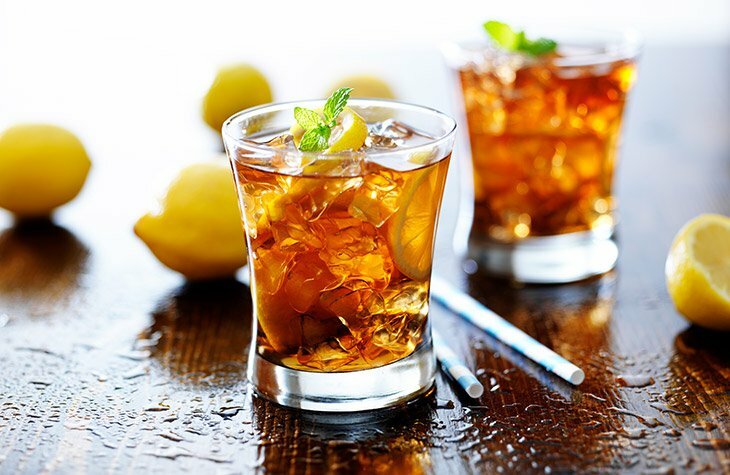 If you don’t like your iced tea too sweet, you will have trouble taking out sugar from your ready mix! If you want your tea to be a little mild, your yield may not be sweet enough! You will always end up with something that is too strong or too sweet and something that lacks everything! This is a frustrating dilemma! Maybe you would rather not at all. But here is the good news! Brew your tea to the right level you want it. You can decide how mild or strong your tea will be. You can even choose what type of sweetener to use! May I suggest honey? An iced tea maker is made for brewing and chilling iced tea in a convenient manner. This only means one thing. You don’t have to improvise with other kitchen equipment to make iced tea. 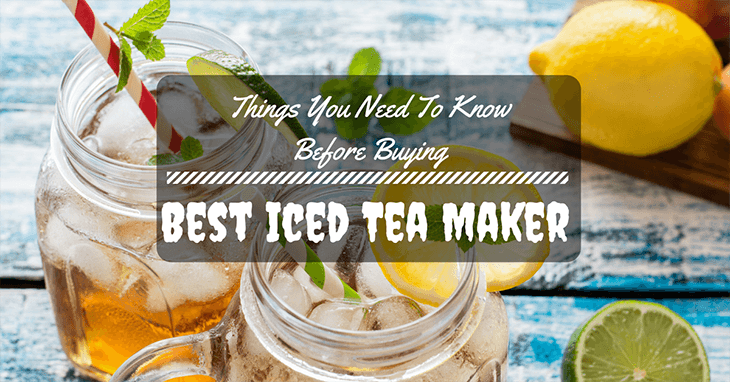 Whenever you feel like drinking iced tea, you can easily make it with an iced tea maker! Aside from that, you can always recreate your recipe with precision for example adding some herbs (thyme, mint, lemon grass...), and cutting fruit ( lemon, orange, peach, watermelon...) or a teaspoon of honey which is very useful to prevent some diseases like cough, sour burps...(assuming you measure and time it properly! If you don’t have an iced tea maker, it’s necessary to use a filtering paper to separate tea leaves from your iced tea. This is a little annoying, right? Iced tea makers eliminate the need for a filtering paper. You can always brew tea in their patented paperless filter! To get the right flavor of your tea according to your taste, timing it while making it is crucial. Some models of iced tea makers have a variable control setting to set how mild or strong you want your tea to be. Isn’t that nice? This means you can leave your tea brewing while you are doing other things. Some units automatically shut off when it has reached the time it needs for your selected brew. Wouldn’t it be nice to have a dishwasher safe iced tea maker? This ensures that making iced tea and tidying up your kitchen equipment would never be a hassle! An ice-cold tea with a freshly squeezed lime juice can easily beat the summer heat. But the summer heat can easily bring your iced tea to room temperature tea! The good thing is that some manufacturers of this tool have thought about combatting that difficulty. They ended up creating a double-walled pitcher to keep your iced tea cold longer outside the fridge! So in case you forget it, it will still be cold when you remember it! Pro Tip: Placing your pitcher in the freezer for at least one hour before brewing can help you flash chill your iced tea! Using an iced tea maker is fun! 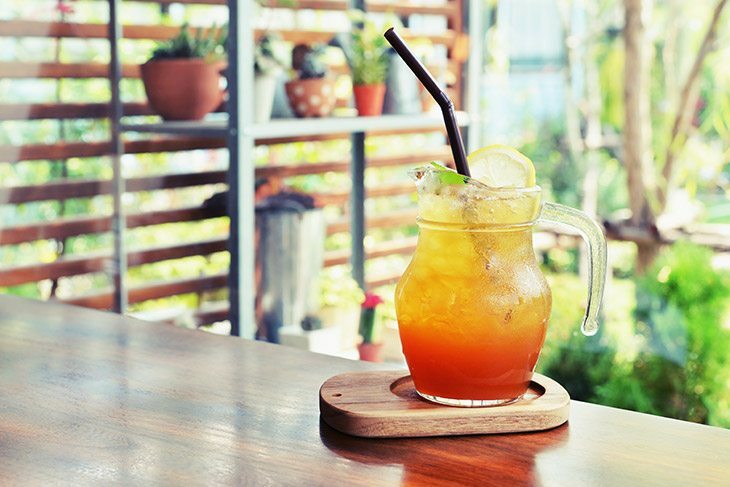 Having your iced tea maker at home can make brewing more exciting! You can surely enjoy your tea time from making it to cleaning up! 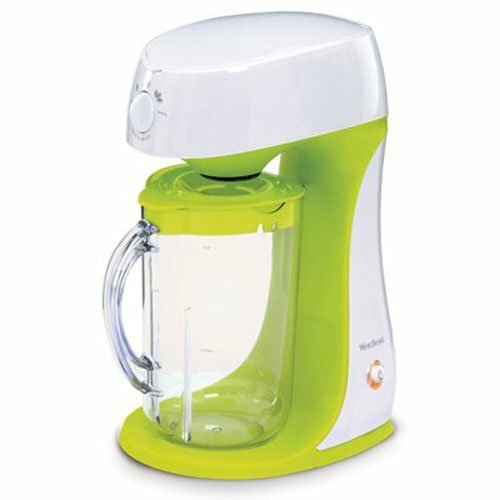 This stylish iced tea maker is fashioned in green and white giving you a hint of refreshment just by looking at it. It resembles a coffee maker with an over sized pitcher. The tall and skinny pitcher perfectly fits under the dripper. Opening the lid exposes three chambers. One for loose leaf, another for tea bags, and one for your sweetener. Strength selector. 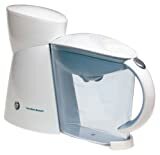 - This feature allows you to leave your iced tea maker brewing by itself while you are doing other stuff. Right after whatever it is that you are doing, your iced tea is ready with the perfect strength you dialed. Don’t worry about over brewing your tea because it has an auto-shut off function! Skinny hard plastic pitcher. - Have kids at home? West Bend used a hard BPA-free plastic for the pitcher to make sure that it doesn’t break easily. So if you do have kids at home, you won’t worry about glass shards in case it breaks! The skinny design will save a good space in your too! So feel free to brew a pitcher and save it for later in the fridge! Can brew and steep. - It has a separate compartment for brewing loose leaf tea and another chamber for tea bags. This gives you the versatility to use them for two different purposes in just one kitchen tool! Dishwasher friendly. - Cleaning up after a refreshing drink can be a little troublesome. To make it easy for you, West Bend made sure that you can stick it in the dishwasher for easier cleanup! Fill line marking is obscure. - It can be a little hard to tell if you have already reached the fill line or not. Maybe the maker should have made it a little more visible for convenience. Messy spout. - This is a common problem with almost any type of pitcher. But the lid equipped in this model doesn’t help address this problem. You must train your precision when pouring your iced tea to avoid having it all over the place. This flask-like infuser is a nice addition to your kitchen. It’s made of glass with a sleek handle and a stainless lid with silicone gasket. A visible white graduation can easily guide you on how much you want to fill your flask. Made of thick glass. 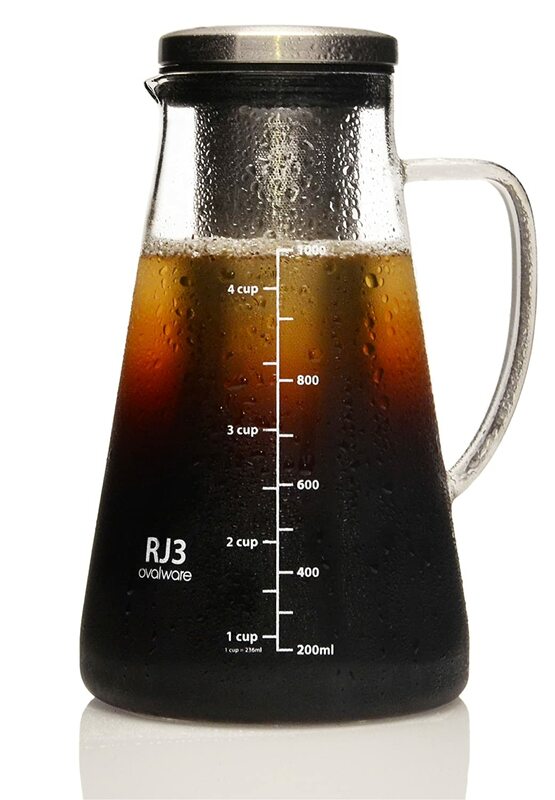 - The quality and thickness of the glass used in this pitcher can withstand heat and cold. If you love your tea hot and sometimes cold, you would not need to purchase another equipment! You can use them both for hot and cold brewing. Stainless infusion mesh. 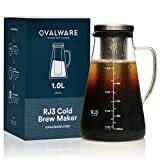 - To ensure that you will not be melting your infuser, Ovalware decided to use a stainless mesh for infusion. It is easy to clean and will not have a funny dish-washing liquid taste when you brew your tea on it. Slim and stylish. - The flask-like design will not require much space on your fridge so you can leave it there for a day while cold brewing some coffee! Save a batch of iced tea on the fridge so you could always have some whenever you want! Too little capacity. - You only get a liter of iced tea for every batch. Even I can drink a liter of iced tea on a hot and sunny day in one gulp! Hack this by brewing a concentrate and mixing it iced water in a large pitcher! Delicate handle. - I have this feeling that the handle might chip off even without impact. Maybe it’s just me, but it’s a little thin and delicate. It’s made of glass. This means that they will break into shards when you drop it! Careful! Especially if there are kids at home! This iced tea maker is designed with a minimalist goal in mind. It has a very slim profile that won’t take much space on your counter top. It has a white base and a clear bluish 2-quart pitcher. It is equipped with a variable strength selector to suit your taste! Slim profile. - The slim profile enables the unit to be set on a corner and consume just enough space. The slim taper will not leave unnecessary space occupied! Slim pitcher. - The awesomely designed slim pitcher fits on your refrigerator’s door! It would not be taking up much space! Decent capacity. 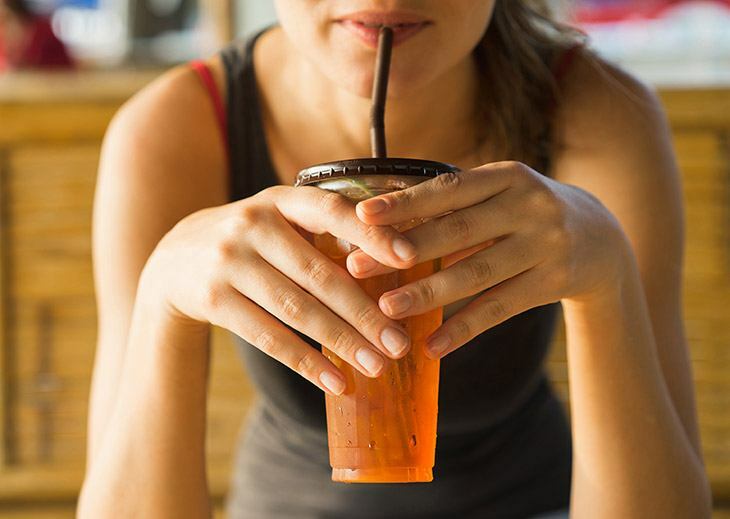 - A single brew can make up to 2 quarts of iced tea. This can be enough to refresh about three to four people or one dehydrated gardener! Automated brewing and steeping. - Plug it, fill it, dial your desired strength, leave it, play tag with the kids, and still get a perfect brew waiting for you. You can leave it as it brews and it will do all the rest for you. No need to time and go back to open the hatch for the drip to start! Manual washing. - You are stuck with cleaning it manually. It’s not dishwasher safe. Don’t even try it! The manufacturer made sure that consumers are informed that it should not be placed in the dishwasher. Heed this advice to prolong the life of your kitchen equipment. Expensive. - One of this can buy you three of the other models! They are expensive but if you do like this, follow all the necessary care instructions to avoid damaging it. 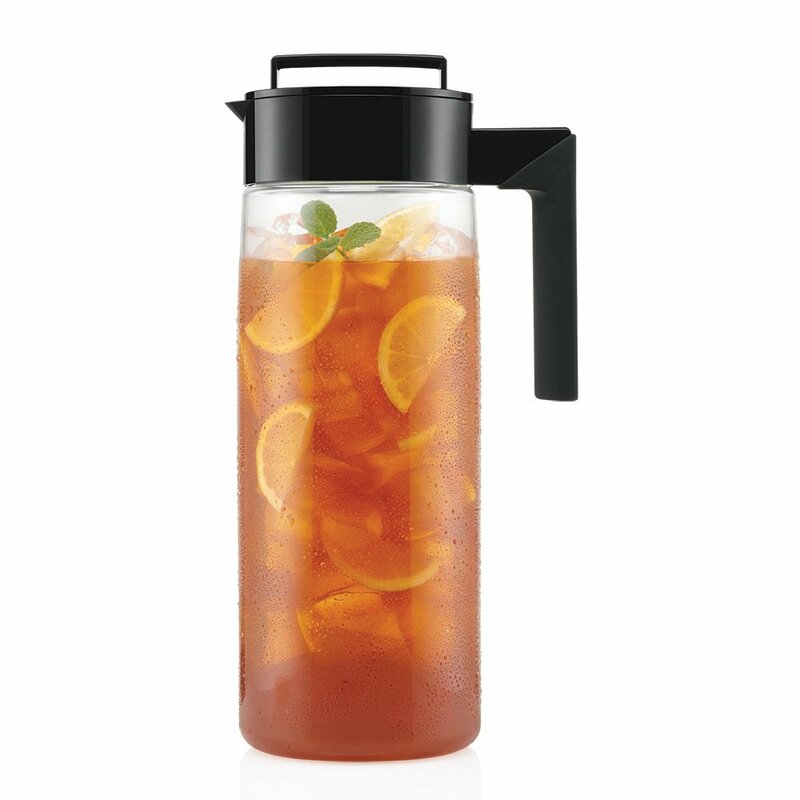 This 12-inch cylinder plastic pitcher can hold up to 2 quarts of iced tea in one batch. It comes along with a premium nylon mesh that spans about three-quarters of the size of the pitcher. This mesh infuser can be attached to the lid and can be easily removed once brewing time is over. You can choose from four different colors to express your character! You can get a stylish black if you like it plain and simple. You can also choose from blueberry, green avocado and raspberry to give a nice highlight in your fridge. After brewing the desired portion, you can simply remove the infuser and add ice. Shake until the ice is melted and you will get just the right dilution. Airtight lid for flash chilling. - By far, this is the most fun way to prepare iced tea. The airtight lid ensures that you can give it a vigorous shake after mixing the ice. It’s securely sealed so you can even store it in the fridge horizontally. This can help you save space! Hard BPA-free plastic. - It’s made with plastic, so you don’t have to worry about breaking it while shaking it! Great design. 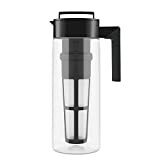 - If you are not making iced tea with it, you can have it as your everyday water pitcher! Isn’t that nice? You can have this replace all your pitchers in the fridge! Involves you while making it. - If you don’t see flash chilling is fun, this may not be the right iced tea maker for you. This will require a labor of love and a few calories to shake it until the ice is melted! Does not have a timer. - If by any chance, you forget that you are making an iced tea in the kitchen and leave it brewing for too long, you will end up with an unpleasant yield. Make sure you time it properly! This blue and white iced tea maker can make 3 quarts in one brew! The three-quart translucent pitcher with blue lid easily attaches to its base. There is a separate basket for loose leaf and tea bags too. You won’t have to worry about filling it with too much water as you will be able to see the clear water reservoir fill up. Three-quart capacity. - If you can’t get enough of iced tea, this blue pitcher can supply you with three quarts of freshly brewed iced tea! Fully automated. - Like the other electric iced tea makers, you will not have to worry about leaving it. It shuts off when its done and you can select how strong you want your brew. Leave it and have a full pitcher later. Graduated pitcher. - You wouldn’t have trouble measuring your tea. The pitcher is graduated with both the approximate yield of ice and water. Big stuff. 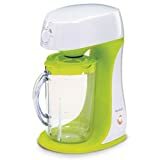 - This is a three-quart iced tea maker. This will take up a large space on your counter top. Even the pitcher will take a large space in the fridge! If you don’t have much space left in your kitchen, this may not be the iced tea maker for you. Plastic and big volume of liquid. - When the pitcher is full, it may feel a little flimsy. What do you expect? It’s a three-quart liquid in a plastic pitcher. It will show signs of wear and tear as it ages. But you can always buy a new pitcher. Nothing beats a glass (or a pitcher!) of freshly brewed iced tea on hot and sunny days! The invention of best iced tea makers enabled us to brew large batches in the most convenient manner! If you can’t have enough of your favorite iced tea, Mr. Coffee can be your best pal! 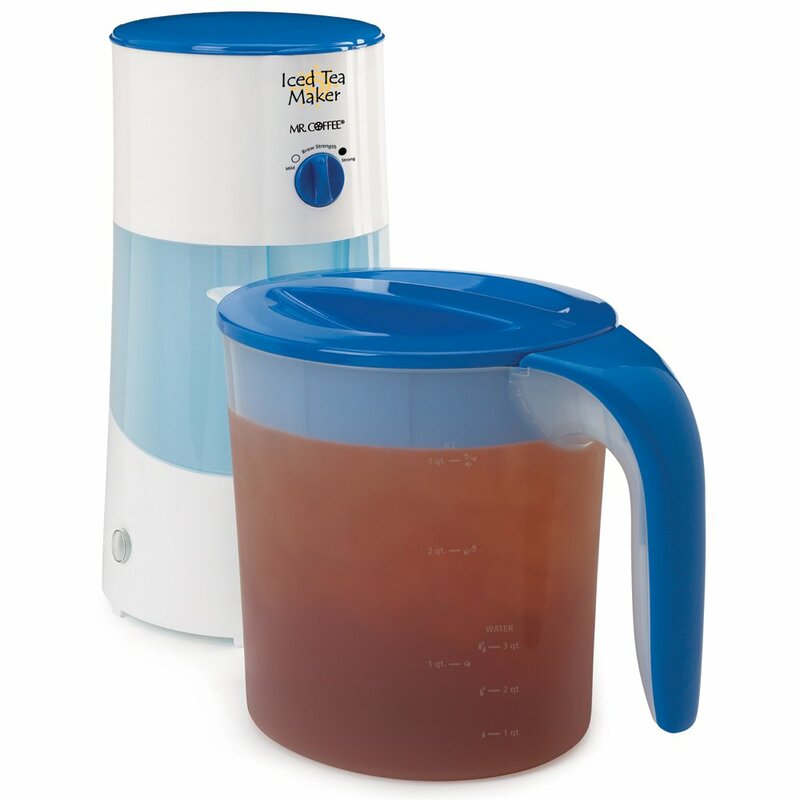 West Bend’s iced tea maker can also be a great choice with a little less of Mr. Coffee’s capacity. If you like to have fun while making iced tea, Takeya’s flash chill iced tea maker is a fun choice! Did this article give you the right information to make a purchase? Feel free to share your thoughts below. Do not hesitate to share this page as you please!